They exploded on the national political scene in 2004 and within four short years captured the ultimate political prize. By the time they claimed the White House in one of the most hotly-contested presidential races in modern history, Barack and Michelle Obama were seen by millions around the world as the new Jack and Jackie Kennedy—brilliant, attractive, elegant, youthful, exciting. Accompanied by their two young daughters Malia and Sasha, the Obamas would arrive at 1600 Pennsylvania Avenue with the promise of a new Camelot all but assured. Given the obvious historic significance of what they accomplished together, the marriage of Barack and Michelle stands as one of the great personal and political partnerships in American history. Yet, incredibly, the true nature of that relationship remains a mystery. Until now. 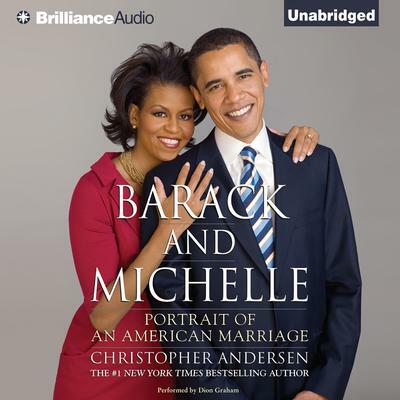 In the style of his #1 New York Times bestsellers The Day Diana Died and The Day John Died, as well as his bestselling books about the Kennedys, the Clintons and the Bushes, author Christopher Andersen draws on important sources—some speaking for the first time—to paint the first complete, compelling portrait of America’s first black First Family.